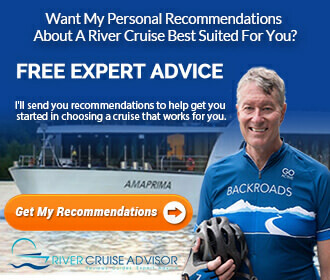 Today’s New York Times reported: A United Nations-backed tribunal on Monday found a 67-year-old former prison warden of the Khmer Rouge guilty of crimes against humanity and war crimes for overseeing the torture and killing of more than 14,000 prisoners. He was the first major figure to be tried in the murderous regime since it was toppled 30 years ago. For the full story, click Verdict Due in the Trial of Khmer Rouge Leader. 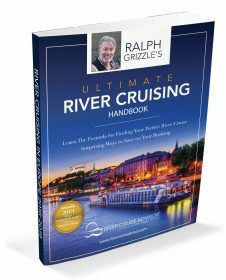 The story is especially poignant for me after cruising the Mekong on AMAWATERWAYS La Marguerite. 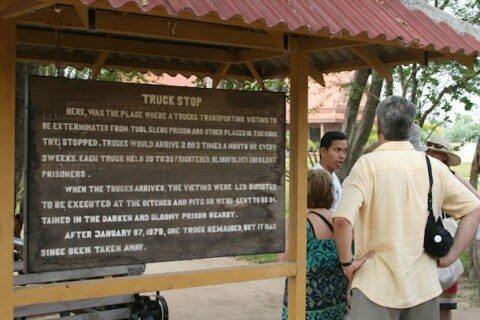 In Phnom Penh, Cambodia, we visited the Killing Fields as well as the torture camp known as S-21. For me, it was important that my daughter and I saw the Killing Fields and the torture camp so that we would never forget the atrocities committed there, just as it is important to see holocaust memorials and museums. Nonetheless, it was a gut-wrenching day in Phnom Penh, especially when confronted with a tree against which babies were beaten to death. The New York Times article was of particular interest, and I admit some disappointment in such a light sentence for such horrible crimes. A grim but necessary morning in Phnom Penh. 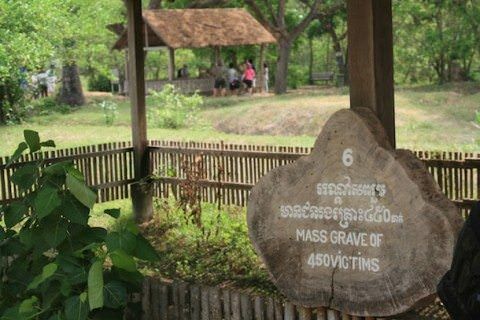 We visited one of the Khmer Rouge’s many ‘Killing Fields,’ where the renegade regime committed genocidal atrocities during its rule from 1975 to 1979. Our guide (pictured) told us how his father was captured and imprisoned by the Khmer Rouge and how out of thousands at S-31, was only one of six to survive. How? 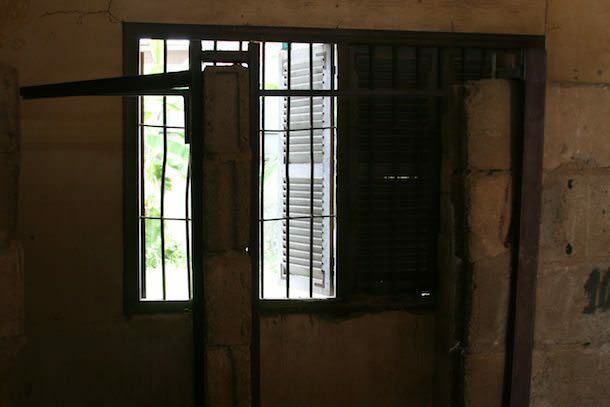 He noticed that the Khmer Rouge used hundreds of padlocks to incarcerate prisoners but had no system to organize the keys, so they were forced to cut the locks with bolt-cutters each time they took a prisoner away (for interrogation and torture likely). Upon arriving at S-31, our guide’s father told the guards he could pick the locks, saving the padlocks for future use. Although he had never picked a lock before, he had observed someone doing so years before. Each morning at a cafe in Phnom Penh, the father had watched a shopkeeper pick a padlock to enter his store. In a test before the prison commander, the father succeeded in unlocking 7 of 10 padlocks. As a worker in the prison, he was no longer treated in the same way as prisoners. However, he was shackled each day. Never mind that he could pick the lock any time he wanted to. After the Khmer Rouge was toppled, his father returned to the village where he had been given up for dead. At The Killing Fields In Phnom Penh. It is estimated that the Khmer Rouge exterminated as much as one third of Cambodian’s population between 1975 and 1979. Phnom Penh’s Tuol Sleng Genocide Museum is situated at the site of the notorious Security Prison 21 (or S-21). 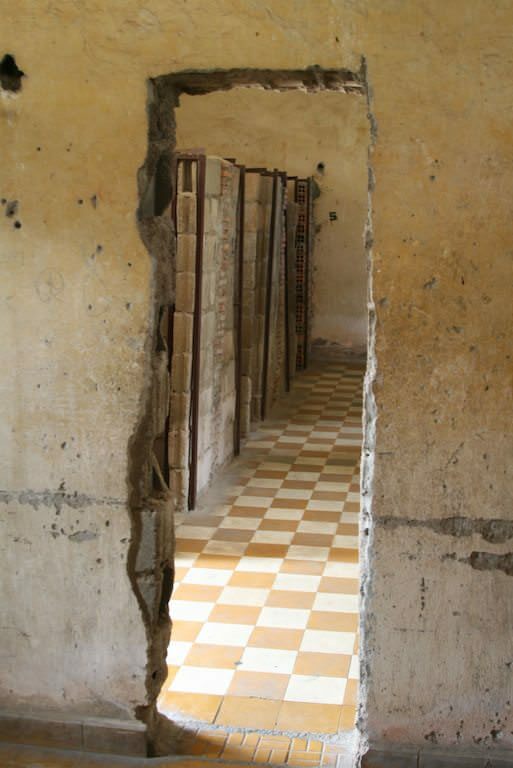 A former high school, S-21 was used a prison and torture chambers during the Khmer Rouge’s rule of Cambodia. Small prison cells at Phnom Penh’s Tuol Sleng Genocide Museum, situated on the site of the notorious Security Prison 21 (or S-21). A former high school, S-21 was used a prison and torture chambers during the Khmer Rouge’s rule of Cambodia.